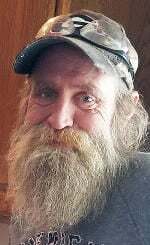 Janesville, WI -- Monte E. Unger, age 49, passed away at home on Wednesday, December 26, 2018. 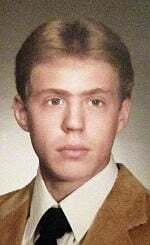 He was born in Excelsior Springs, MO, on June 28, 1969, the son of Gary E. and Sandra Jean (Johnson) Unger. He graduated from Excelsior Springs High School in 1987. Monte moved to Milton, WI in 1988. Even though he lived in Wisconsin for 30 years, he was a loyal Kansas City Chiefs fan. He enjoyed the outdoors, and especially loved to garden. He was always there to help a friend. Monte dearly loved his family; his son, Austin; and his sweetheart, Shelley. He will be missed by many. Monte is survived by his son, Austin Unger; mother, Sandra Unger; siblings: Cindy (Steve) Martin, Tamara (Randy) Peterson, and Justin (Robin) Unger; many nieces and nephews; sweetheart, Shelley Henkel; and many other family and friends. He was preceded in death by his father. A Funeral Service will be held at 11 a.m. on Saturday, January 5, 2019, at Mt. Olivet Chapel. Interment will be in Mt. Olivet Cemetery. Friends may visit from 10 a.m. until the time of service at the Chapel.